The recent announcement of a European boycott of Israeli companies with activities in Judea and Samaria has once again highlighted the state of Israel's public diplomacy: failures keep on coming and the situation never seems to improve. Much to the contrary, the BDS movement keeps getting stronger, Europe intensifies its pressure on Israel, events such as the flotilla or the Goldstone Report portray Israeli soldiers as war criminals. As someone who deeply cares about Israel, these constant failures push me to ask: what is Israel doing wrong and how can we fix our strategy to start doing things right? In this article, I will share an analysis of the main reasons why Israel is losing the public diplomacy battle. Ever since the start of the Oslo peace process, Israel's diplomacy and public diplomacy has strongly shifted. Instead of promoting Israel and Zionism, all of our efforts have moved to advance the peace process. While many supporters of the peace process might be happy with the advancement of the process, this can in no way replace our claiming our rights to the land of Israel. In fact, as we stopped defending our rights and focused on the peace process, the Palestinians never stopped claiming their own rights. This caused a situation in which Palestinians were making strong arguments while Israelis were completely focused on something else, tipping the scale in their favor. Even when the peace process failed, our arguments were still linked to it. We argued: Israel tried to get to the two-state solution but the Palestinians are refusing. Our focus was on showing how the two-state solution is the right solution and that we are doing our best to implement it. Regardless of one's political opinion with regards to the two-state solution, such a strategy is deeply flawed. By focusing on how much we care about the two-state solution, we are basically inviting more pressure from the world. After all, if we want to get out of Judea and Samaria so badly, then what are we doing there? If we have no rights there and we are simply trying to end the "occupation", then why are we even surprised when Europe decides to boycott us? In order to start winning the public diplomacy battle, we have to stop making the "two state solution" argument and start talking once again about our rights to all of the land of Israel. Those who support the two-state solution surely agree that it must be the result of a process of negotiations with the Palestinians, and therefore, they too should not accept to relinquish our rights before even getting to the negotiating table. Much of Israel's current public diplomacy is focused on answering the accusations of others. Israel focuses on explaining why we are not an apartheid state, war criminals, or an occupying force. However, by making these arguments, we are letting our enemies decide what the framing of the discussion is. Many times, the framing of the discussion is even more important than the discussion itself. If the question is always "Is Israel an Apartheid state? ", then we are losing the battle before even starting it! 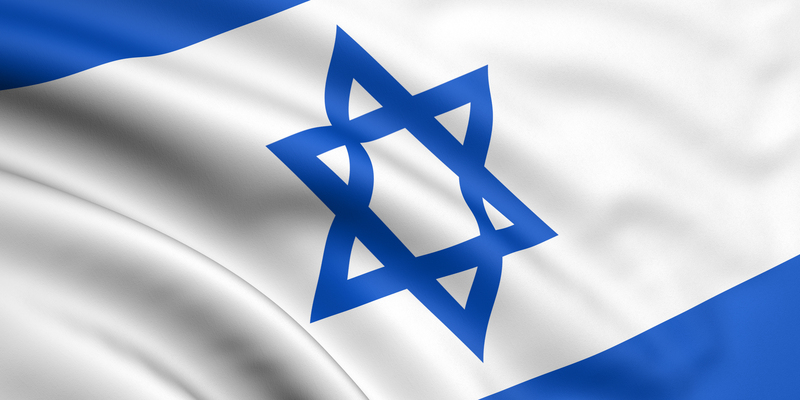 We need to pro-actively change the question and make it: "Is Israel a symbol of liberty? ", "Is Israel a symbol of historical justice? ", "Is Israel a symbol of Hope?". By taking control over the framing of the argument, by being proactive instead of defensive, we will be able to completely change the rules of the game thus winning the public diplomacy battle. The few times where Israel is pro-active, it does so speaking only of technical achievements. Israel speaks about how its citizens developed cherry tomatoes, USB keys and ICQ. However, while these achievements are impressive and surely make us pro-Israelis proud, they are in no way enough to counter the arguments leveled against us which are based on values. Think about it: if you were presented with two sets of arguments on country X, one set claiming that it was an apartheid state guilty of war crimes, and the other set claiming it was a very innovative country, would you ignore the war crimes and support country X just because of its innovation? Of course not! You would say: your innovation is very impressive, but you have to stop being a war criminal. This is exactly what the world is telling us: we do like your innovation, but stop the "occupation". Stop the "apartheid". As long as we speak of technical achievements while the other side speaks of values, we have no chance of convincing the world to support us and we will continue seeing a deterioration of Israel's image. The solution to Israel's public diplomacy problems is a complete rebranding of Israel using all of the new technology out there in order to achieve this rebranding. We need to get public diplomacy out of its 2003 mindset in the middle of the intifada and enter it into the year 2013 where our enemies use much more sophisticated means to attack us. This takes serious work; often this work does not show direct results since it needs long-term strategies. It means stopping to preach to the choir and being proud when a Youtube video gets 100,000 views, with 99,900 of them being from people who are already pro-Israel, and thinking of real ways to rebrand Israel to the world. Unless we work to change Israel's branding from "occupation", "apartheid" and "war crimes", to relevant values such as "hope", "freedom" and "justice", we will never be able to win the public diplomacy battle. As the results of Israel's public diplomacy failures are become more significant, it is becoming more urgent for us to start changing strategies and to start winning this important battle.